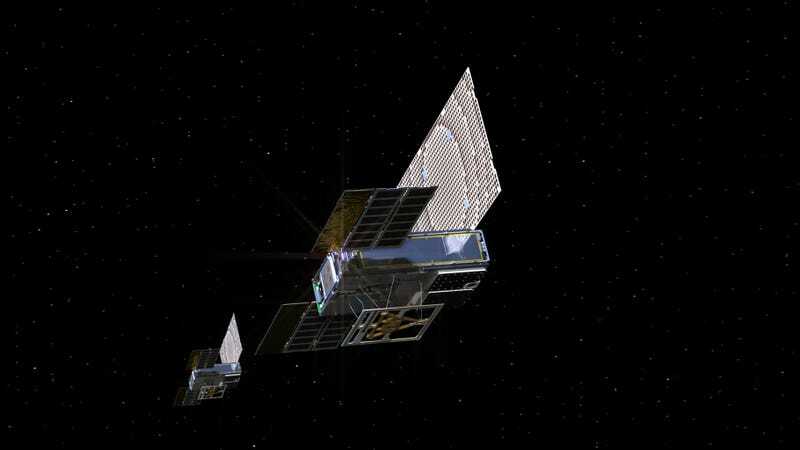 CubeSats are an increasingly common type of satellite designed to decrease costs and allow researchers to put scientific instruments into launch vehicles with leftover capacity. Standard CubeSats contain a liter of volume, around 60 cubic inches, in which to place instruments, and can weigh no more than 1.33 kilograms or 2.9 pounds. CubeSats are scalable, however—WALL-E and EVE each contained 6 cube units. Over 1,000 CubeSats have been launched. NASA scientists were interested in testing whether CubeSats could survive deep space as a part of the InSight Mars Lander mission. They hoped that the satellites would make it to Mars and monitor InSight around landing time, serving as backup relays to transmit radio data back to Earth in near-real time. InSight would use the reliable Mars Reconnaissance Orbiter, which has been at Mars since 2006, to relay data back home, whether or not the CubeSats made it—but WALL-E successfully sent back InSight data from each stage of the descent, as well as the lander’s first image, while EVE was able to perform some radio measurements. NASA lost contact with WALL-E on December 29 and with EVE on January 4. It’s possible that the probes’ antennae aren’t pointed at Earth properly, or that their solar panels aren’t pointed at the Sun and their batteries died, according to the press release. The InSight team will attempt to communicate with the MarCO satellites in the summer when they get closer to the Sun, according to a press release. But if there’s no answer, know that these two CubeSats died victorious, having successfully fulfilled their mission.